Broken Bells is a group I've turned my attention to over the past couple months. Well group might not be the right word, more like duo. 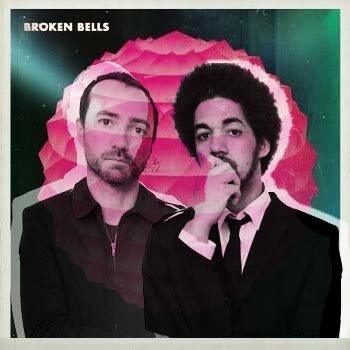 Broken Bells consists of musician/producer Brian Burton (better known as Danger Mouse), paired with James Mercer, lead vocalist and guitarist for the Portland indie rock band The Shins. The two met a few years back and, as fans of each other's music, decided to work on a project together. The result is some magic for our ears. If you haven't got a hold of some tracks by this dynamic duo yet, it's not too late. If i had to classify the music into a genre, I'd have to say indie, despite the fact that this term is way to broad to capture the unique sound of Broken Bells. These next two are also off the self titled debut, and if this isn't enough to get you to pick up their CD, I dunno what is. . .